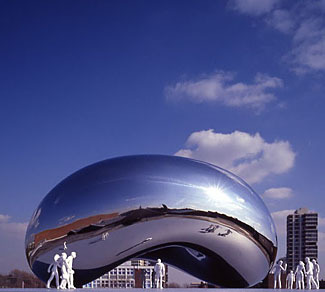 Anish Kapoor, who is an Indian sculptor originally from Bombay, but now residing and working in London. 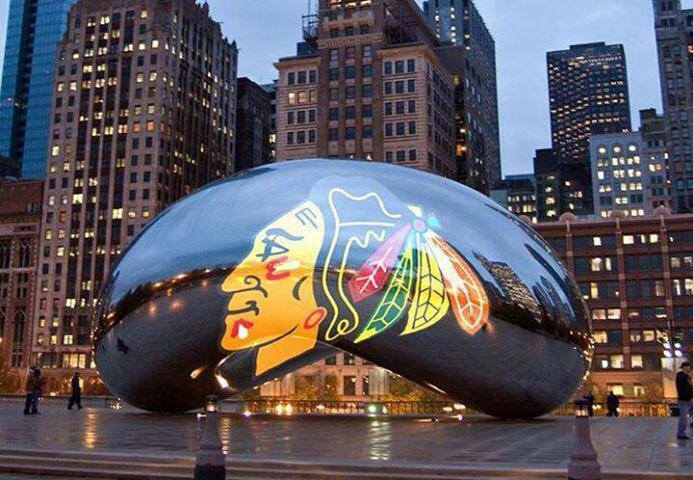 He designed it, and the City of Chicago Millennium Park Project folks created it. 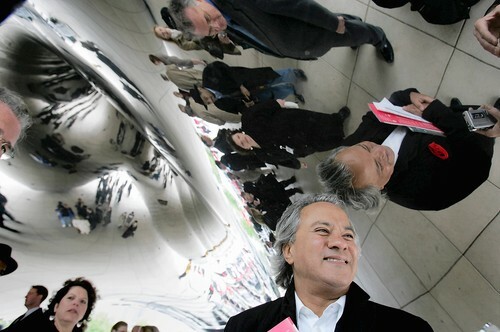 Anish Kapoor, on the right, is photographed with his masterpiece. 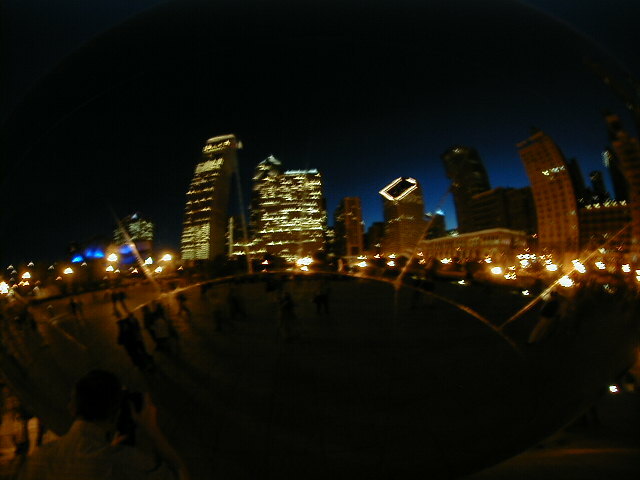 In Chicago's newly opened, Millennium Park on the north east side of the park. This is on the Chicago lakefront north of Grant Park. 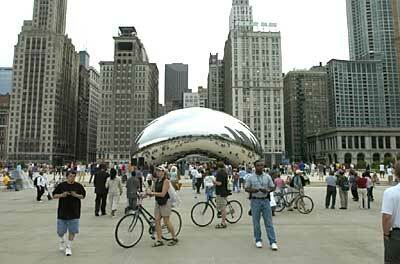 Click here to see Cloud Gate's actual location in a diagram of Millennium Park. The original cost estimate was $9 million, but project complications led to a final cost of $23 million. Stainless steel plates over a fortified steel frame. Under these plates, it is actually hollow on the inside. 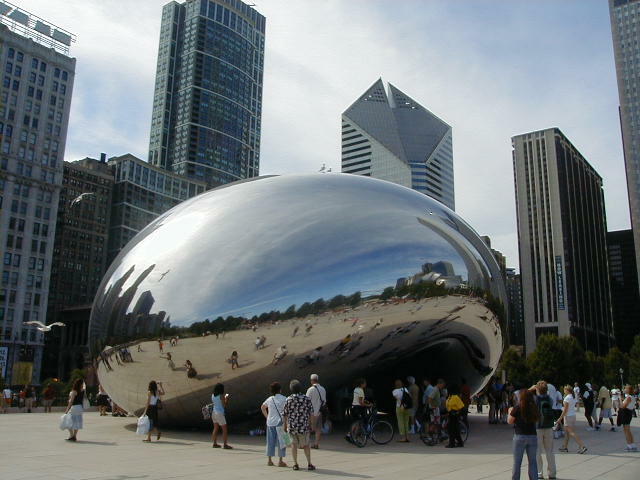 It was built and finished in place, on site because it was too heavy, bulky and dangerous to transport as one completed piece into Downtown Chicago. 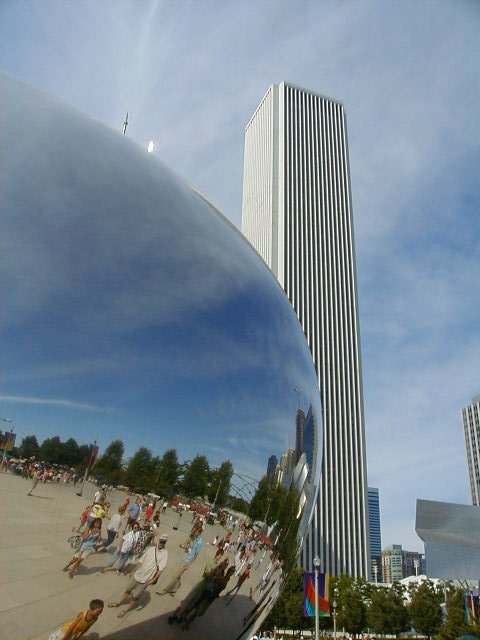 Also, after it was built, it had to be polished and have its seams removed, giving the appearance of being one large shiny object, instead of being the sum of many shiny stainless steal plates. Does it have any other names? 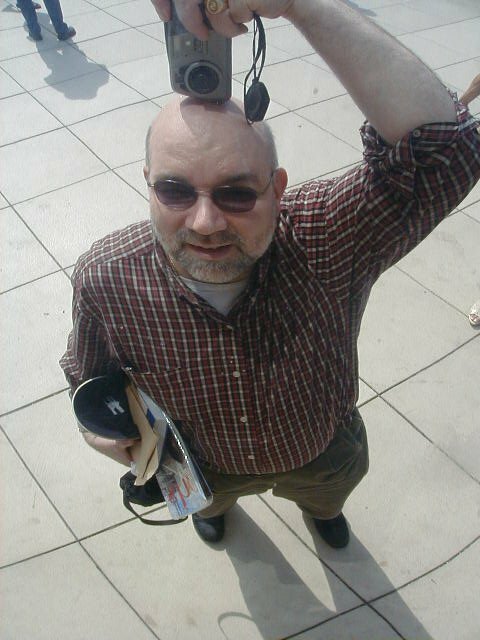 "The Bean," "The Chicago Bean," "That Big Shiny Thing in Millennium Park"
Most provocative artwork since Picasso's Chicago sculpture from August 1967. 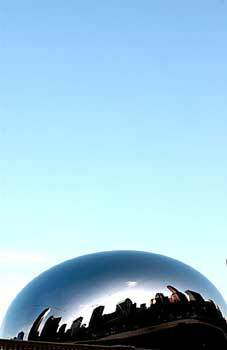 Cloud Gate is a magnificent, magical art piece that adds a great deal to Chicago and its people. First of all, it looks like a timeless, but futuristic object that has magically transported here from some time in the distant future. 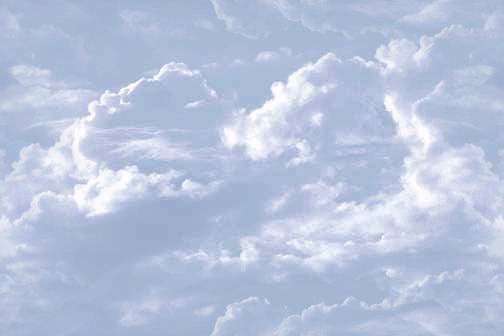 Next, it draws you in and makes you feel like a kid again as you feel compelled to explore it. 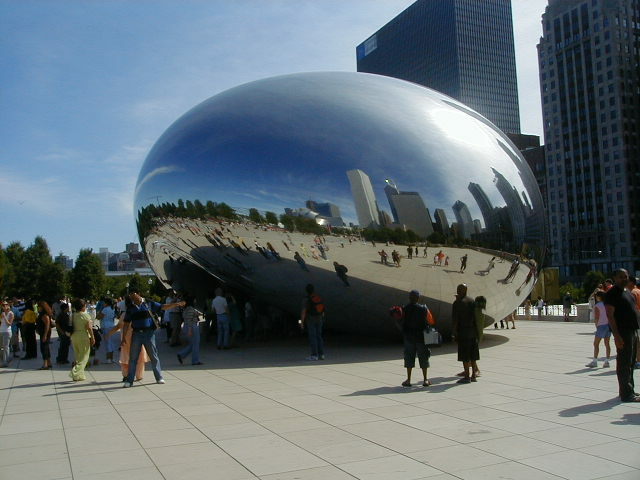 The quality of the design and craftsmanship are obvious as you approach to study its huge smooth shiny, curvy surface. 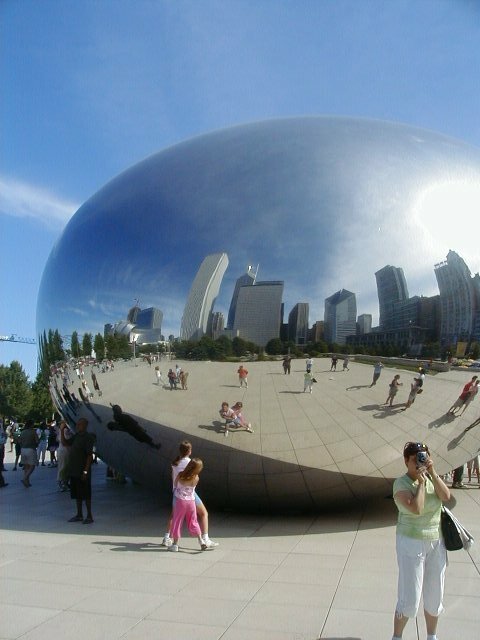 Finally, like an enormous magical curvy mirror, it portrays you, all the people around it, and the cityscape in a way that amazes you and makes you happy. 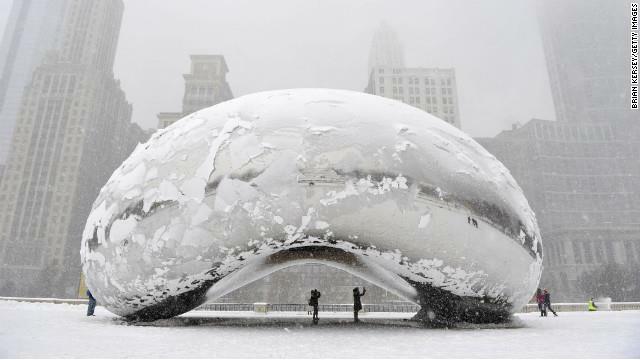 You simply have to go visit Cloud Gate in Chicago's Millennium Park. 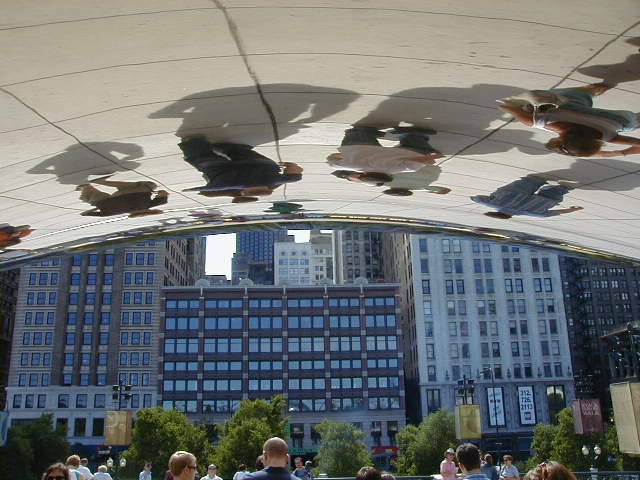 As far as static art that appears to be interactive and compels you to interact with it, Cloud Gate is the ultimate right now, certainly in the U.S., but probably in the whole world! north end of the sculpture. East side end of the sculpture. east end of the sculpture. 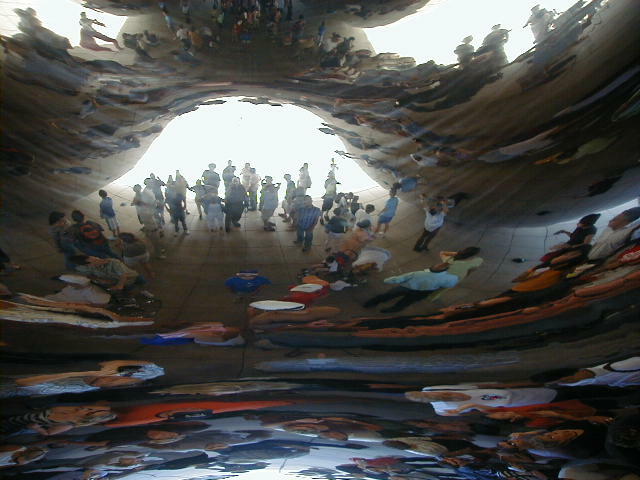 inside the center of the sculpture. 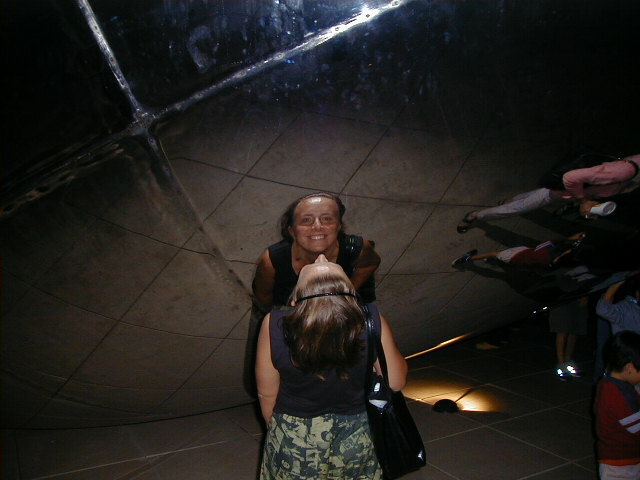 If you visit Cloud Gate - Please don't deface it! 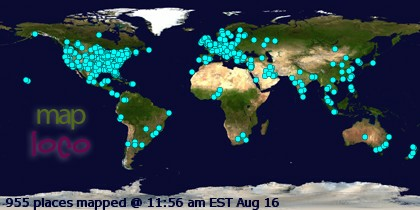 Click on the Map to see where the visitors originate. 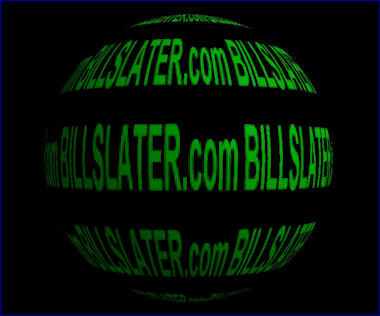 All Rights Reserved, Nationally and Internationally.